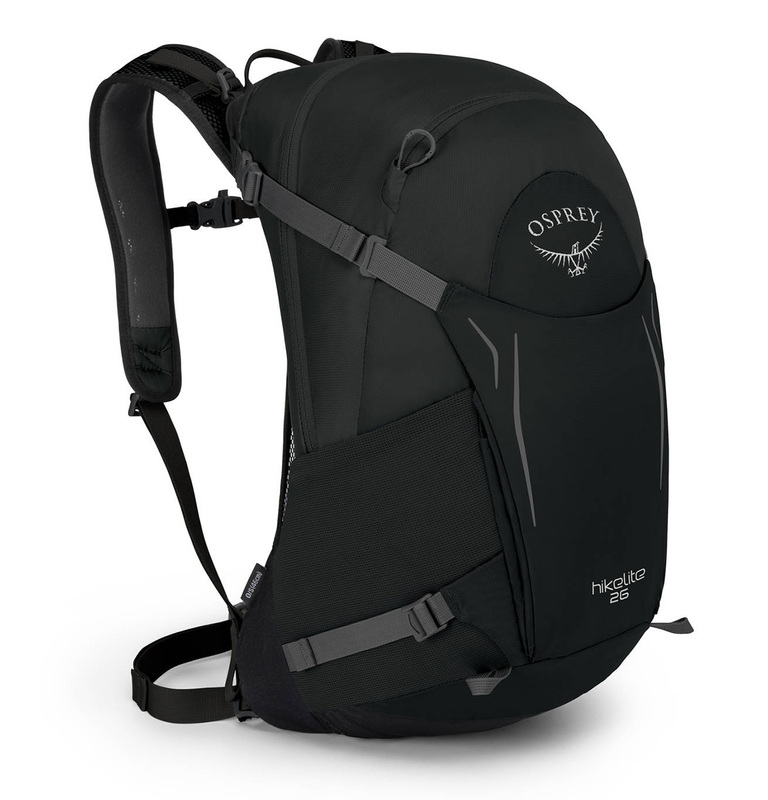 Hiking backpack Osprey Hikelite for one day hikes and travels: high-performance, durable materials and excellent value for money. Simple yet effective. 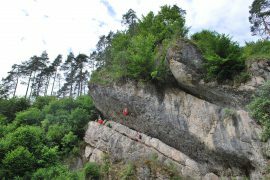 Hikelite is the ideal combination of high-performance features, durable materials and excellent value for money. Designed with everything that you need for a day’s hiking, these convenient packs come a variety of colours to suit every adventurer. Hikelite 26 features an AirSpeed™ suspended mesh backpanel, helping to keep you cool and comfortable when you’re out for a hike. An integrated and detachable raincover hides in a pocket on the base, ready to be deployed when the weather turns nasty. Two PowerMesh™ pockets on the side of the pack will comfortably hold a 1L water bottle, while the upper compression strap doubles as a walking pole attachment. A removable webbing hipbelt and adjustable sternum strap help keep this pack in place and the upper scratch-free pocket provides a perfect place to store your keys, snacks and sunglasses. Hikelite 26 also features a large front shove-it pocket, perfect for storing and easily accessing a spare layer of clothing. Hikelite 26 is compatible with all Hydraulics reservoirs. Osprey was born in California in 1974 at the seat of a single sewing machine, with a head full of ideas and a desire to design and build innovative backpacks to the highest quality. Founder and chief designer Mike Pfotenhauer designed his packs around a simple message; backpacks that fit better will feel better. Through to this day, Osprey products continue that pioneering spirit, being used on the highest mountains to the remotest islands and everywhere in between.